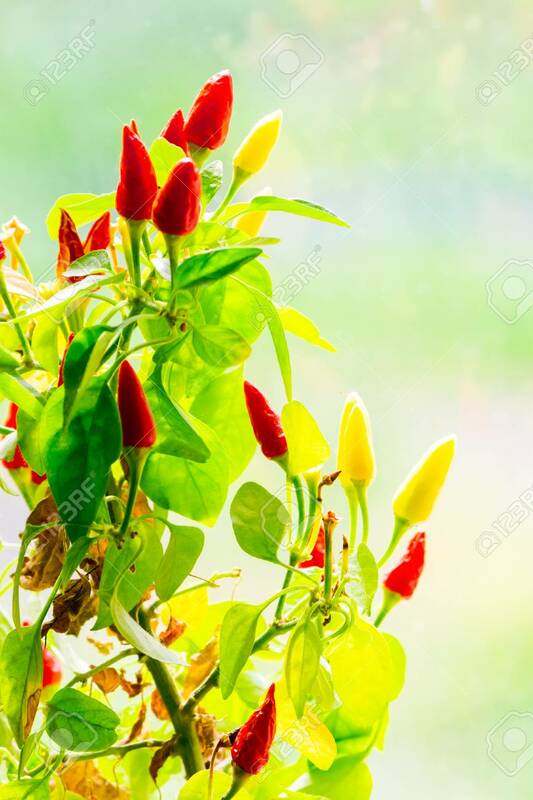 Red And Yellow Chili Peppers Grow. Small Plant On Blurry Background Stock Photo, Picture And Royalty Free Image. Image 107270602.